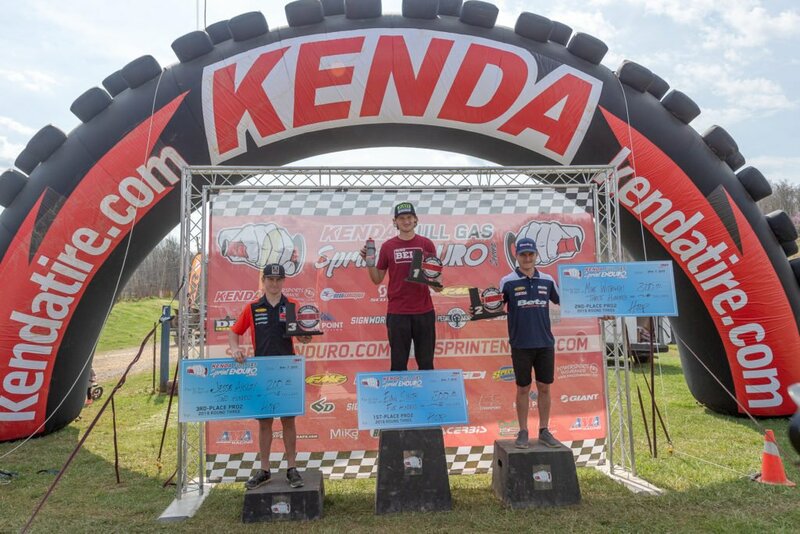 Greeneville, TN(April 6-7, 2019) Josh Toth claimed a career-first victory in the Kenda Full Gas Sprint Enduro by posting an impressive performance at round three of the series at I-81 Motorsports Park in Greenville, Tennessee. 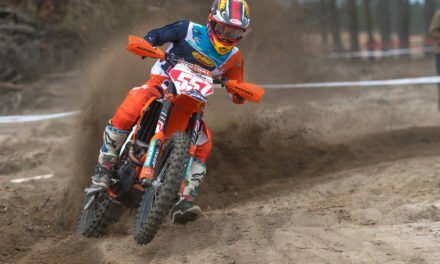 The FMF/KTM rider won four of the 12 tests during the course of the two-day event and topped runner-up Kailub Russell by 23 seconds after two days of tight racing. 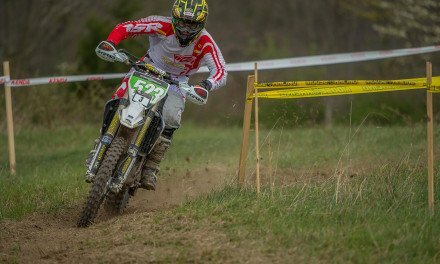 Toth won Saturday’s round by 24 seconds, and proved he was equally fast in both the Cross test and the Enduro test by winning one of each. 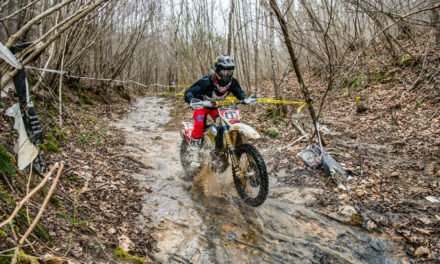 On Sunday, Toth won two of the three Enduro tests, and was second for the day behind Russell, however his combined time for the two days was fast enough for the overall win. 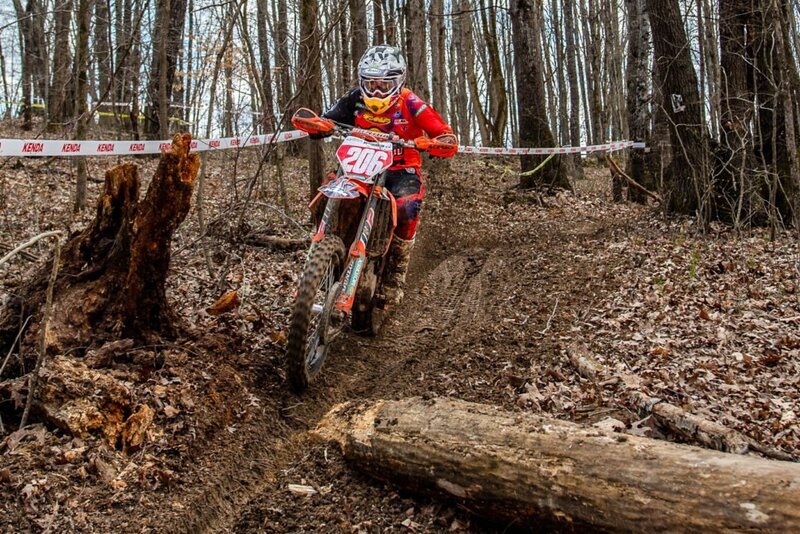 Russell came back from a rough day on Saturday to win Sunday’s round and take second overall. Russell won more tests than anyone, six in all, however a mishap in the second test on Saturday cost the FMF/KTM rider a shot at the overall. 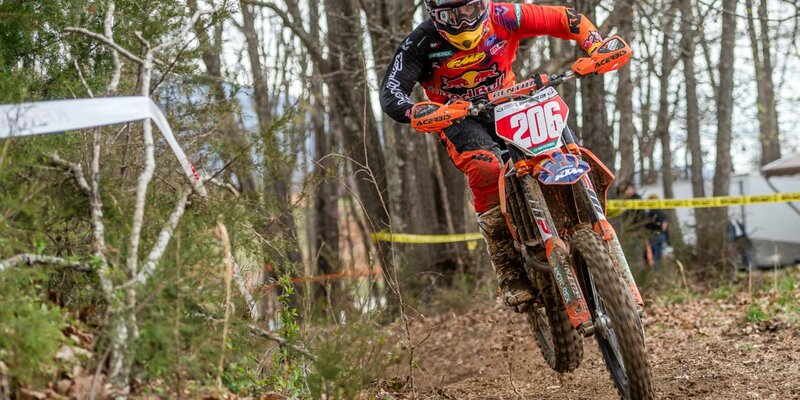 Russell came back to win Sunday’s event, giving him second overall for the weekend. 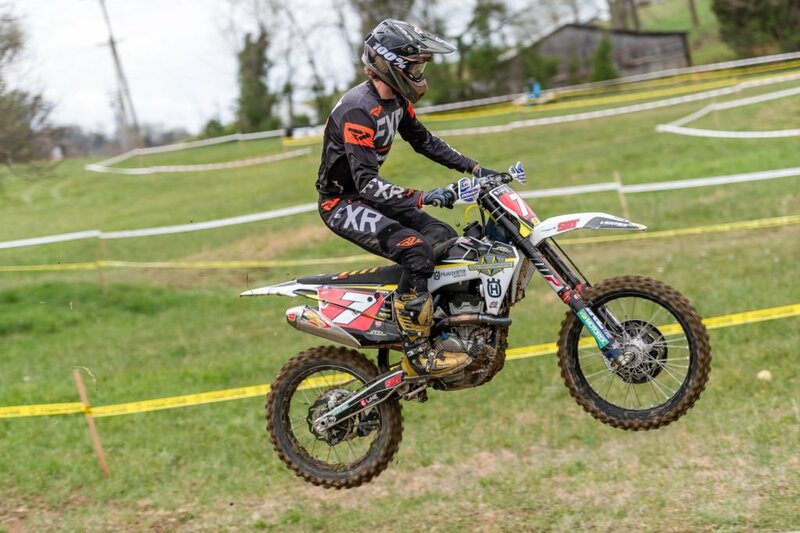 Rockstar Energy Husqvarna Factory Racing’s Thad Duvall rounded out the podium after taking two test wins, one on Saturday and one on Sunday. 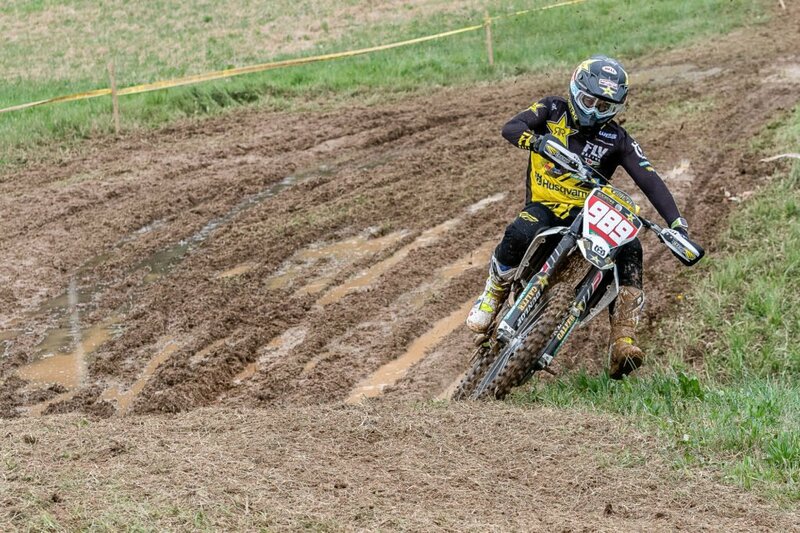 Coastal Racing Husqvarna’s Layne Michael came back from being off the bike for over a month after breaking his collarbone to get fourth overall. 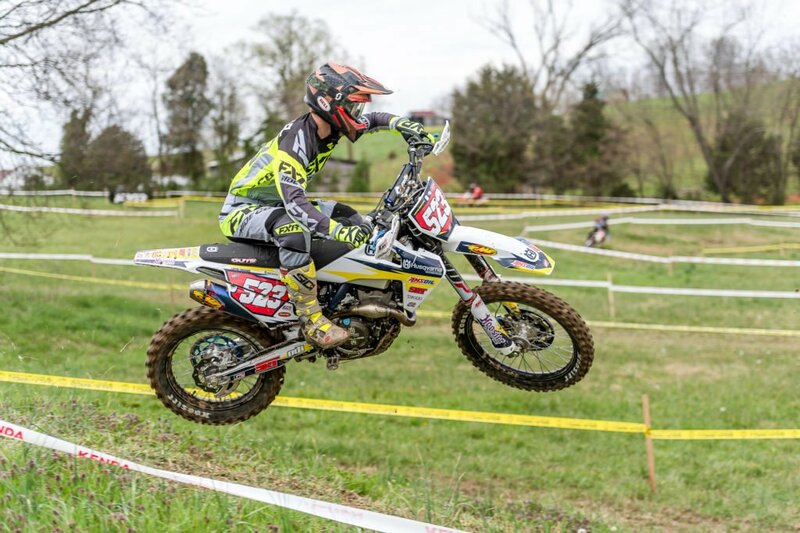 Evan Smith was fifth overall on his Husqvarna/Max Motorsports/FXR FC 250, which was also good for the win in the Pro2 division. Smith won eight of the 12 tests in the Pro2 division and beat out Beta USA’s Mike Witkowski by just over a minute to claim the class win. 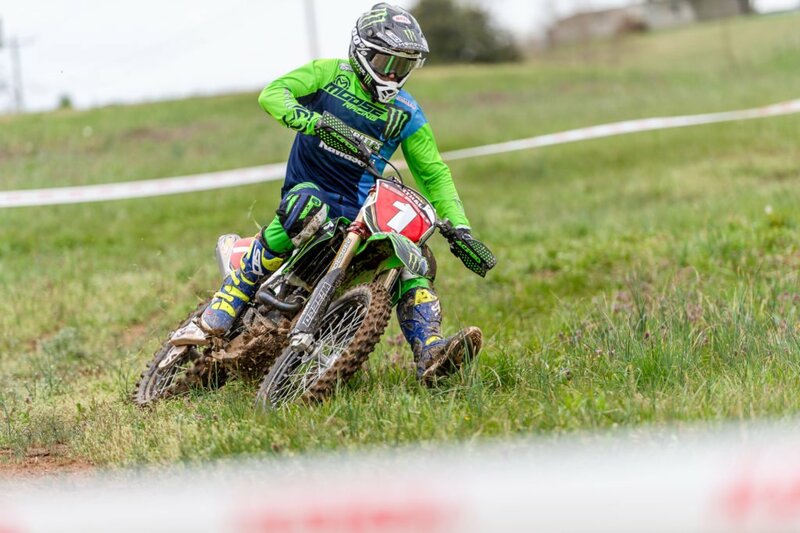 Babbitt’s Monster Energy Kawasaki teammates Josh Strang and Jordan Ashburn battled with each other for most of the weekend and wound up occupying sixth and seventh. Strang admitted it was a tough weekend for him. 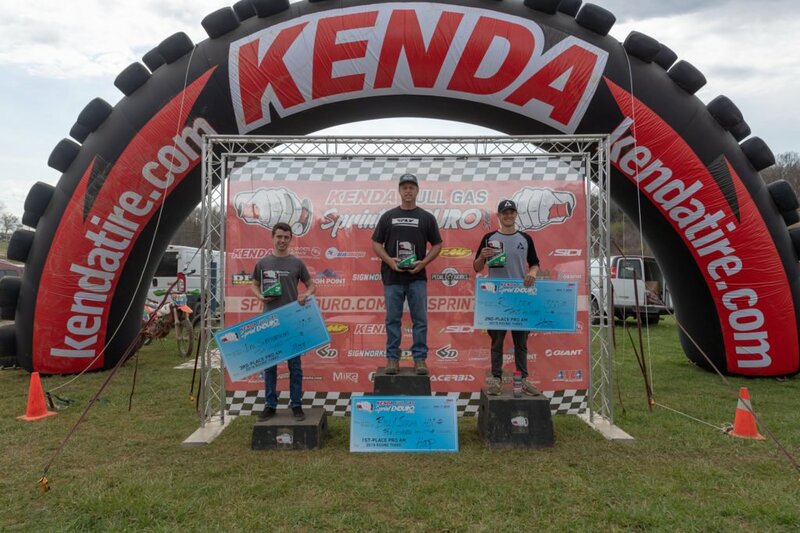 Witkowski won one test in the Pro2 class and was eighth overall and second in the Pro2 class. 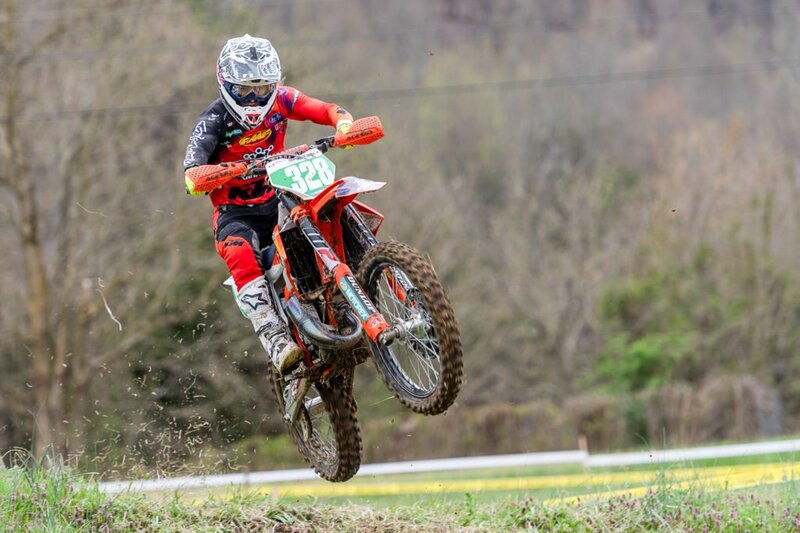 Meanwhile, Trail Jesters KTM development rider Jesse Ansley won three Pro2 tests en route to ninth overall and third in the Pro2 class. 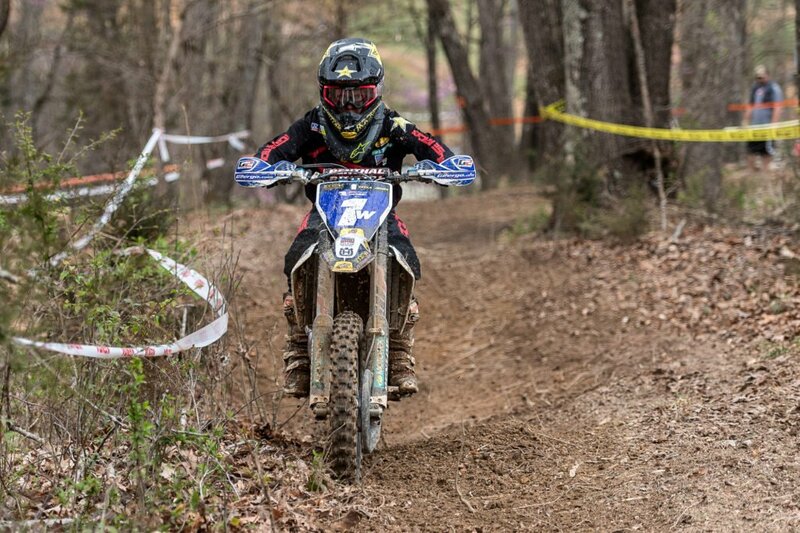 Gas Gas North America’s Thorn Devlin rounded out the top 10 overall and was fourth overall in the Pro2 class. 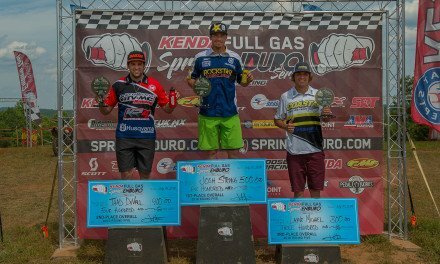 After three rounds of racing, Kailub Russell holds a commanding 36 point lead in the Pro class ahead of Thad Duvall. Josh Toth’s win moved him into a tie for fourth-place in points with Josh Strang, with Jordan Ashburn rounding out the top-five in the standings. 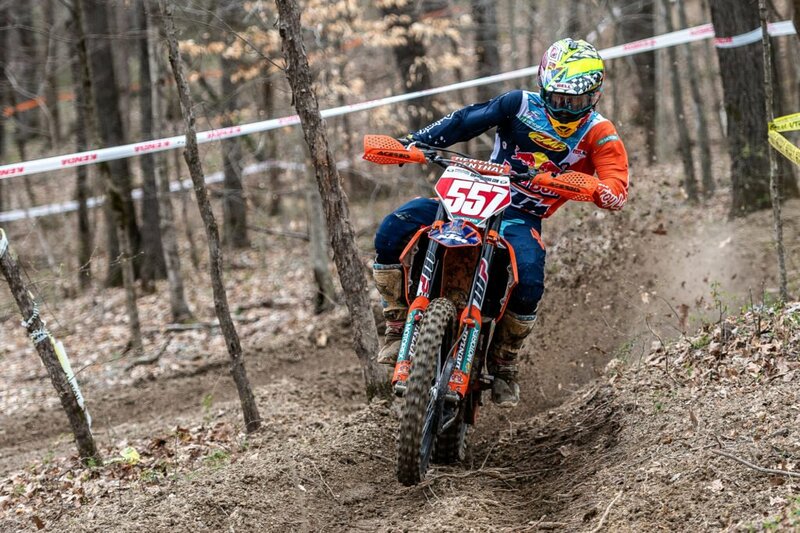 In the Women’s Pro division, Husqvarna-backed Tayla Jones took a solid win over Maxxis/KTM’s Becca Sheets. Jones finished two minutes up on Sheets, while MEP MX KTM’s Mackenzie Tricker was third, three minutes and twenty seconds behind Sheets. 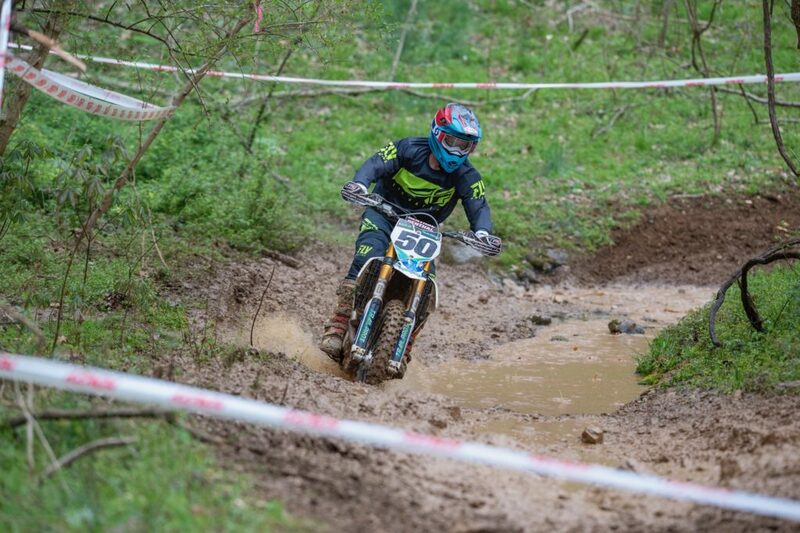 In the ProAm class, TrailPros-backed Billy Schlag scored his first win of the season, which was also his first time on the ProAm podium in 2019. Schlag, who felt more at home in the clay than the sand of the first two rounds was able to put over a minute gap ahead of round two winner RJ Cook over the course of the 12 tests. 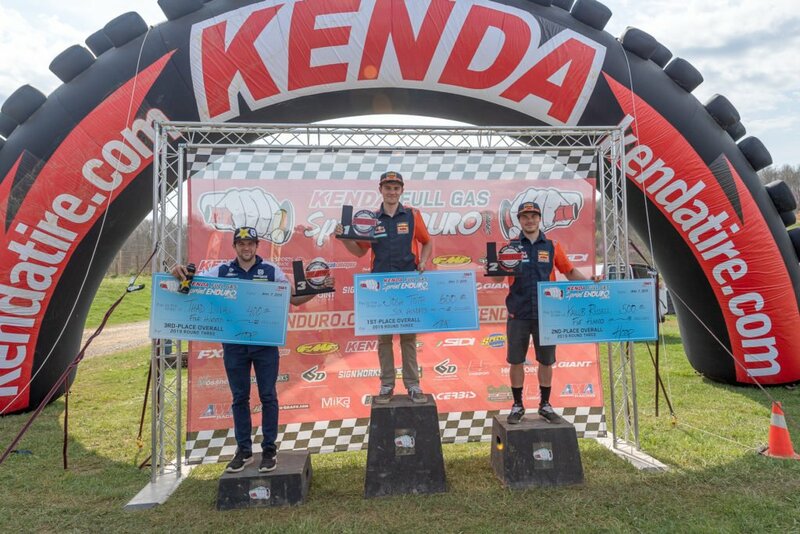 Eric Scarborough rounded out the top-3 with his first-ever Full Gas podium finish. 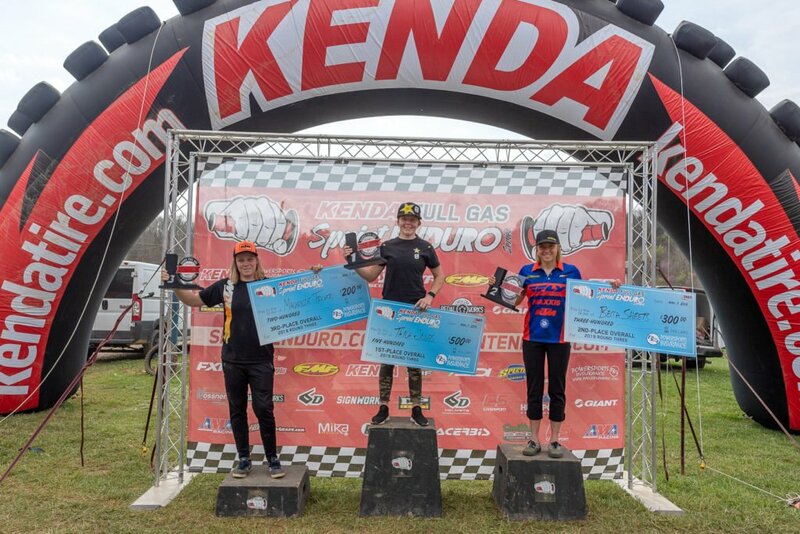 The Kenda Full Gas Sprint Enduro Series returns to action on May 25-26 at Hidden Valley Golf Course in Glen Daniel, West Virginia for round four of the series. For more info on the series go to www.sprintenduro.com.